Inchi oil designed to care for your locks each time you style your hair. 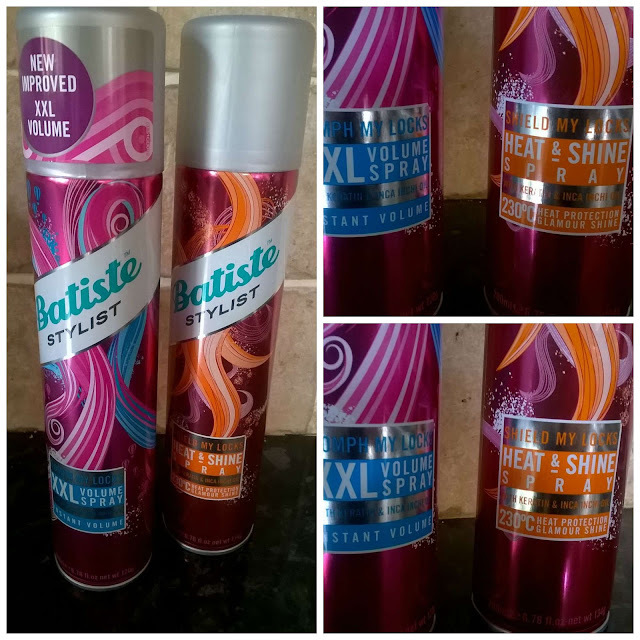 I got the chance to try two of the new products (pictured above) the Heat and Shine spray and the XXL Volume Spray. Heat and shine is designed to protect your hair from heat damage, it can shield your hair from heat up to 230°c and is designed to be used on dry hair - NOT damp. In addition the spray also doubles up as a finishing spray - simply spray on dry hair and then style as required leaves your hair feeling sleek and smooth and eliminates the flyaway factor which i do sometimes get after styling. This is basically a backcomb in a can - designed to provide an instant volume boost to styles, i found this very similar to the original dry shampoos.....spray in the roots, give it a rub and voila - volume accomplished. It also smells super sweet so great for refreshing hair. Both the above products along with the others in the range have been launched exclusively in Boots and range from £3.99 for the powder up to £4.29 for the rest. So grab yourself a can now! !